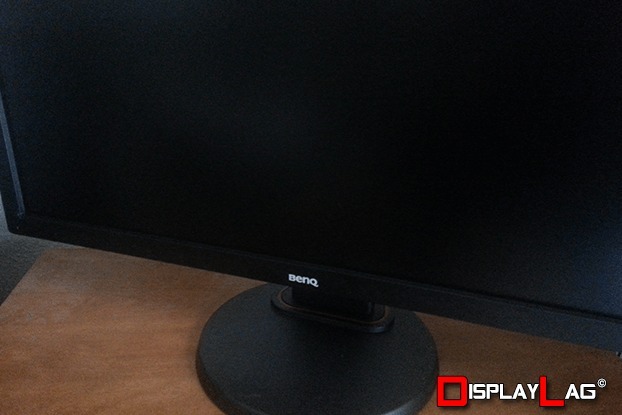 This BenQ RL2460HT gaming monitor was provided by BenQ for review purposes. I will be reviewing the build construction, picture quality, and overall technical performance of the RL2460HT, including input lag performance. The RL2460HT features a new base that takes up less room than the RL2455HM. You can use the HDMI out to prevent latency that can occur from equipping an external device. For example, a capture card that normally comes in between your game console and the monitor, is now placed after the pure signal is received by the primary gaming monitor (the RL2460HT, in this instance). Create head-to-head setups for multiplayer games that use one screen. The most obvious choice would be fighting games, as the HDMI out sends a duplicate signal to another display of your choosing. This allows recreation of an arcade-style setup without investing in a separate HDMI splitter, that may cause latency. Mirror a source to a larger display for demonstration. If you have a large projector or HDTV that you want to use to display the RL2460HT’s input, the HDMI out will allow you to send the signal without causing latency to users on the RL2460HT. For those that may have missed it, I managed to get my hands on this monitor at CES 2014 in January, and reported my impressions on it. The final production version of this monitor is launching next month in April, so read on to see what it offers. The RL2460HT features a plethora of inputs, including an HDMI out port. The RL2460HT features a complete assortment of modern inputs, including DVI, D-Sub, double HDMI inputs, and one HDMI output. In terms of audio connectivity, line-in and headphone jacks are also present to serve analog audio. 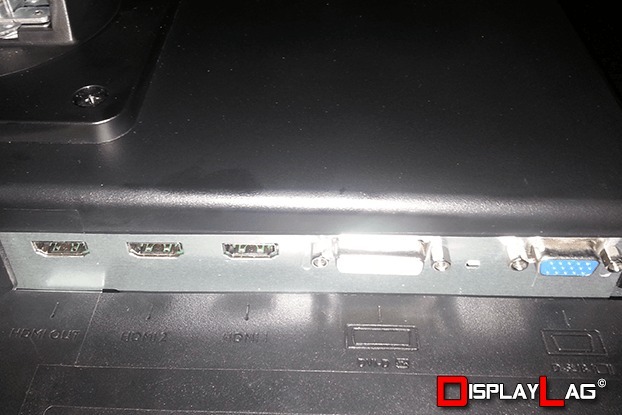 The placement of the ports remain identical to the RL2455HM, with the exception of the added HDMI output. 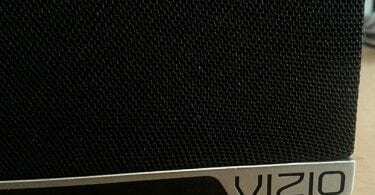 You shouldn’t need to invest in additional equipment, unless you’re planning to hook up an older analog connection (such as component) to this monitor. The largest aesthetic improvement on the RL2460HT is its completely redesigned stand. The RL2455HM used a rectangular base that attached to the monitor via a glossy piece of plastic. 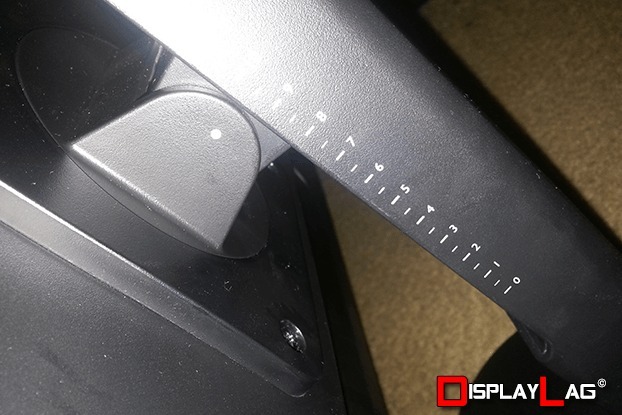 This has been completely removed in favor of a circular base that occupies less room, attaching to an extremely solid adjustable stand, that comes pre-installed on the monitor out of the box. It has significant weight, and it is very unlikely that you will experience any kind of wobble on the RL2460HT. The monitor’s height can be adjusted leisurely, and can also be placed into portrait mode for gamers that love old school shooters (Ikaruga comes to mind). Tilting functionality is available to fine-tune monitor placement. The stand on the RL2460HT is impressively built. It features full height adjustment, tilt, and portrait functionality. On the panel side of things, the RL2460HT is extremely similar to the RL2455HM. It uses a 24-inch matte TN panel with an LED backlight, and features the same 1ms GTG response time (when enabling AMA). It has a native resolution of 1080p (1920 x 1080 pixels), which also services 720p due to its 16:9 aspect ratio. Dynamic contrast ratio is measured to be 12M:1 (million), with a 1000:1 native contrast ratio. 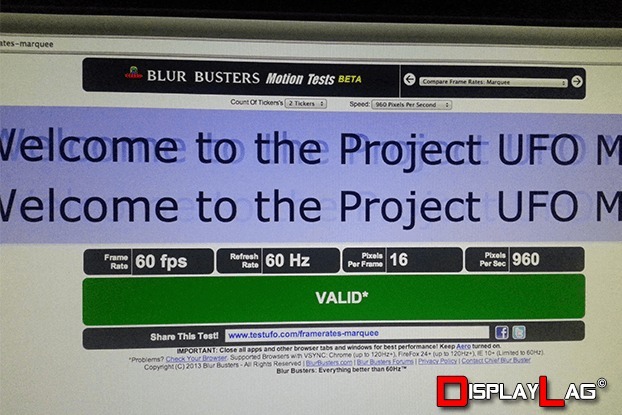 The refresh rate is pegged at 60hz, which is enough for all console gamers, but may prove lacking to serious PC gamers that demand more frames. If this is the case, you should look into BenQ’s other offerings, such as the XL2720Z. Very little has changed from the RL2455HM in terms of panel specifications. Button layout also remains identical to the RL2455HM, offering a host of side buttons that launch an OSD when pressed. The buttons retain the same matte finish and feel of the monitor’s bezel, and require deliberate force to activate. I’m personally a big fan of the way BenQ handles their button control, as it doesn’t require me to guess which button I’m pressing when in the dark. Simply press any button to bring up the OSD, which lines up perfectly with the buttons on the sides. This also allows you to change the functions of three buttons through the OSD, as they are not tethered to a specific function inherently. 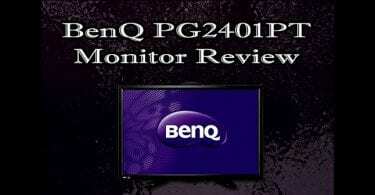 BenQ offer the standard assortment of configuration that is present in most of their gaming monitors, including Smart Scaling, Black eQualizer, AMA (Advanced Motion Accelerator), as well as common controls such as brightness, contrast, and various color optimization settings. One new inclusion to their OSD is a setting called Low Blue Light, which controls the amount of blue that is outputted on the screen. BenQ offers blue configuration in order to reduce eye fatigue, as the abundance of blue can harm your eyes over time. This may be a useful feature for those that spend long hours using the monitor, however it will affect color calibration, so use it accordingly. As mentioned earlier, the RL2460HT uses a TN panel, which isn’t going to sport the best viewing angles by nature. Move your head around and you will notice gamma shifts and/or darkening of the screen depending on height. Like the RL2455HM, the viewing angles are measured at 170°/160°. However, in application, the RL2460HT has the edge over the RL2455HM due to its robust stand. You can freely adjust the height and tilt of the display, allowing you to nail the sweet spot necessary for a TN panel. Having a high quality, adjustable stand is very important for TN displays, and can help combat some of the shortcomings inherent to TN panels. The RL2460HT features several picture modes, including Standard, Movie, Photo, sRGB, Eco, RTS 1, RTS 2, Fighting, FPS, and three Gamer profiles to customize to your liking. The latest addition to the picture presets is the inclusion of the Fighting preset, which boosts the amount of blue that’s present on the screen. 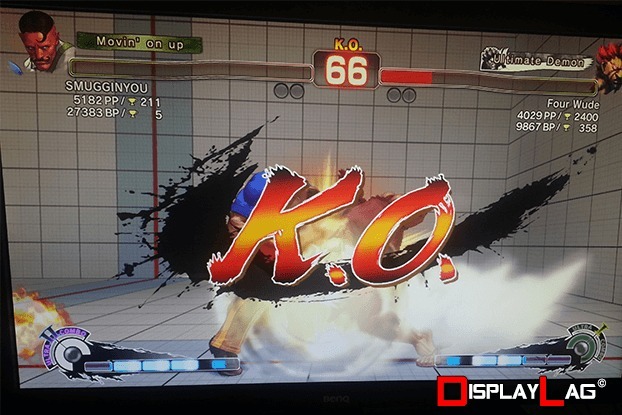 BenQ created this preset to help aid fighting game players confirm the presence of blue (which usually occurs when an attack is blocked in a game like Super Street Fighter IV). Personally, I disliked using this picture preset as it drastically affects the other colors that are present, and noticeably changes how colors are supposed to appear. It also seems counter-productive, as blue is a very strong color by nature, which would be easier to confirm if the screen wasn’t saturated with it. Under fighting game mode, the grayscale ends up receiving a severe green tint, so overall I recommend avoiding it if you’re looking for a balanced picture. Like the RL2455HM, you have access to dynamic contrast, saturation, sharpness, as well as individual RGB settings to tailor the image to your liking. Out of the box, the picture modes with the best balance of color are the Standard and sRGB presets. If you plan to calibrate this monitor, you will have to avoid sRGB as it locks several picture adjustment options. The other picture modes are either too red, too blue, or have skewed gamma in general. Using the test patterns from Lagom under sRGB mode, I was able to resolve the majority of dark squares except 1 and 2 under the black level test, and all of the white squares up to 253 on the white level test. The contrast setting used for this was the default 50. Keep in mind that placement will drastically affect the appearance of the screen and colors, due to TN’s poor viewing angles. Luckily, the stand should allow you to seat the monitor at optimum eye level. 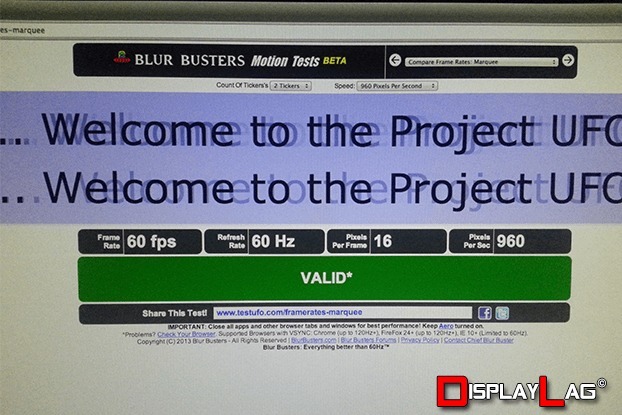 The BenQ RL2460HT’s fighting mode can appear too blue for some users. Scaling options are present in the RL2460HT, allowing you to simulate a variety of aspect ratios and resolutions. Besides the standard Full, Aspect, and 1:1 settings, you can simulate various 4:3 and 16:9 aspect ratios, starting from 17-inch all the way to 23-inches in size. 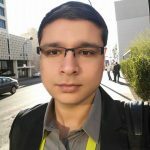 This can be useful for some gamers that may need to train for an event that uses a different monitor size than the RL2460HT. 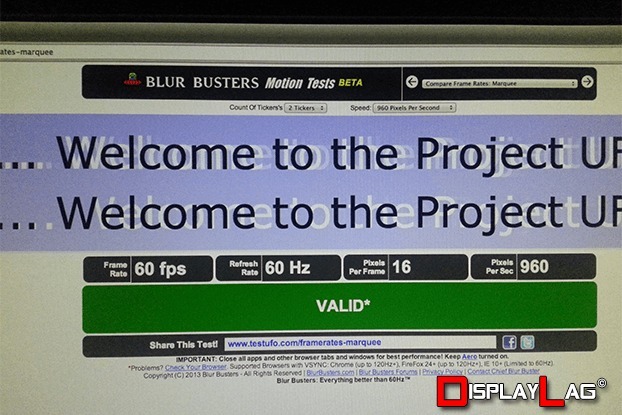 However, using the scaling modes disables the AMA function, which will noticeably increase motion blur. I recommend sticking to the panel’s native resolution whenever possible. 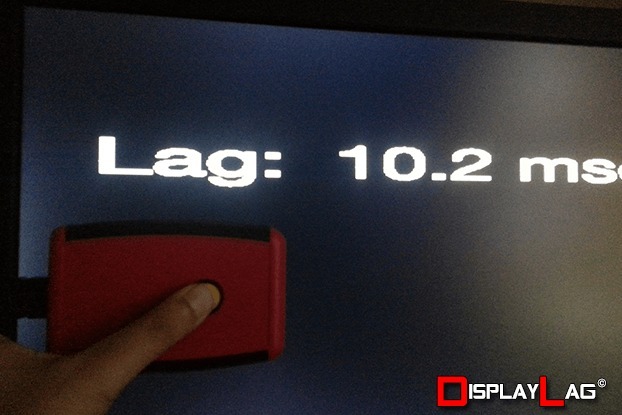 Averaging out the measurements results in an average input lag rating of 10ms. This falls in line with the fastest monitors in our input lag database, offering identical performance to top gaming monitors such as the BenQ RL2455HM and ASUS VH236H. The input lag on the RL2460HT is minimal, and can be used for serious gaming applications. The HDMI out features no additional latency either. The RL2460HT offers an HDMI out port in order to serve as an HDMI splitter, duplicating the source input to another screen of your choosing. The point of these feature is to bypass latency that may occur by using external equipment to do the job, by having a separate HDMI connection. For fighting game fans, this is a very useful feature if you would like to set up a head-to-head style experience by utilizing a secondary monitor. The HDMI out will duplicate either HDMI 1 or HDMI 2 inputs, depending on which source is active on the RL2460HT. Great news, after routing our lag tester through the RL2460HT, I can confirm that the HDMI out does not add any additional latency to the secondary monitor either! Using the RL2455HM as the secondary display with the tester connected through the RL2460HT, I measured identical results as if the tester was connected to the RL2455HM directly. This feature is also beneficial for those that like to capture gameplay using an external device, as you can feed the duplicated HDMI signal to your capture device, without worrying about causing latency by connecting the device before the primary monitor. Using my copy of Super Street Fighter IV: Arcade Edition 2012, I tested the RL2460HT to see if the numbers held up to their claim. As expected, I couldn’t feel any additional latency over other top gaming monitors, such as the RL2455HM. All of my commands registered properly, without additional input lag. 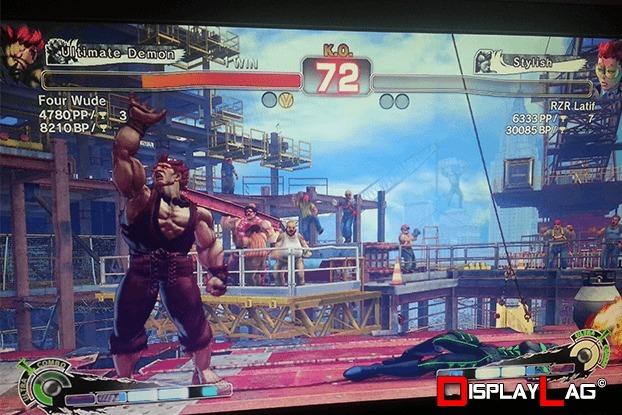 Setting the Xbox 360 to 720p made no difference either, resulting in identical performance, which is good news for PS3 users that are forced to use 720p in several fighting games. I also managed to test the RL2455HM while using the signal from the RL2460HT’s HDMI out port, and as the numbers suggest, there was absolutely no delay using the RL2455HM either, even with a 720p connection. BenQ did an excellent job with the HDMI out, and I highly recommend considering this monitor if you’re planning to use it for reasons mentioned earlier. As the input lag ratings show, the RL2460HT felt extremely responsive with no noticeable input lag during Super Street Fighter IV. BenQ RL2460HT AMA set to off. BenQ RL2460HT AMA set to high. BenQ RL2460HT AMA set to premium. Like the RL2455HM, setting the AMA to off results in an increase in motion blur, and premium results in a noticeable glow. I found that using the default high setting is the best in terms of performance, as it noticeably cuts down motion blur and prevents a strong glow with fast moving objects.